We design, develop and deliver appropriate management and team learning solutions for your needs. We focus on outcomes ensuring new learning transfers to the participant’s workplace and makes a real impact for the better. 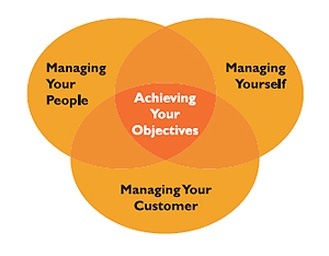 Our areas of expertise are Managing Yourself, Managing Your People, Managing Customers and Managing Your Business. Authentic is in our nature – we use real life scenarios from participants environments to ensure they go away with the skills and mindset to make a difference immediately. All of our in company programmes are custom designed to your needs and your organisation. Learning Solution Programmes can range from a half day skills based intervention to year long development programmes and everything in between. We design trainer packs for your team to deliver themselves in house and train them up to deliver for effect. Our exciting schedule of public learning solution programmes has been launched for 2016!!! Our client upon conducting a review of HR Issues within its organisation highlighted a need for learning solutions to impart philosophy, education and practice in certain key areas relating to the welfare of its workforce. The numbers of people requiring learning solutions was on such a large scale that using the existing structure would have been a slow process that did not deliver the education within an acceptable time span. Management working with Invisio developed a plan whereby additional trainers would be selected from the workforce to impart the learning solutions on the key issues. Invisio developed the message and the method of delivery and then trained new trainers for this important process.The approach increased the number of people delivering the message relating to Interpersonal Skills, Leadership and Conflict Management. Following a successful ‘roll out’ of the programme Invisio now works with the client to review success and keep the programme up to date to ensure meaningful learning solutions that stays relevant. I work with Invisio in my role as Hothouse New Frontiers Programme Manager at DIT. They have been involved in the design and delivery of programmes to support entrepreneurs to develop sustainable businesses and become sustainable entrepreneurs. Louise Mc Namara has a talent for getting people to honestly look at themselves and see how they contribute to and detract from the development of their business and help them to enhance their contribution to their teams and their business. She facilitates participants to become more self aware leaders and build their teams in a sustainable way. I would highly recommend Louise for her ability to coach, facilitate and train managers and their teams in any area of people and self management as well as business development. She has the ability to influence people and gain their buy in to an agreed agenda. Award winning Startup Programme Manager. Co-Founder StartupIreland.